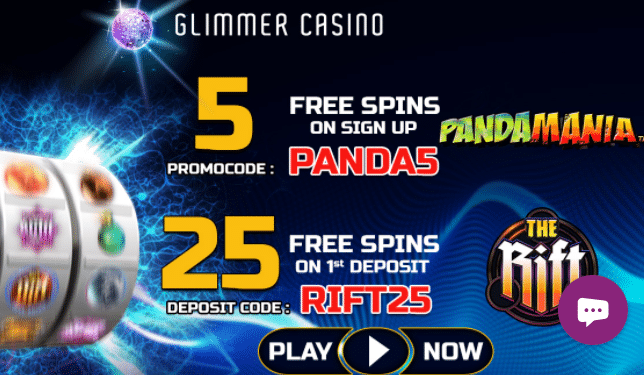 Join Glimmer Casino today and prepare to win great prizes! Create an account and you’ll immediately receive 5 No Deposit Spins on Pandamania as a token of appreciation. Activate the offer by using the code PANDA5. Only new players in the UK can benefit from this. Take advantage of this sweet deal until June 23rd, 2018. Wager your bonus amount 50 times before withdrawing your funds. The maximum you can cash out will be limited to £20.